PMI reserves the right to modify the terms of this Agreement at any time, and will post a notice of such changes. The changes become effective immediately upon posting (the “Effective Date”). If any change to the Agreement is not acceptable to you, you must stop using the Services. Your use of the Services after the Effective Date shall constitute your acceptance of such changes. If we make any new products or services available, they will be considered a part of the Services and your use of them will be governed by the terms and conditions of this Agreement unless we notify you that different terms and conditions apply. You must also comply with any additional terms which apply to third-party content, material, information, software or other services. The term “Collaborative Content” refers to User Content posted on or to the Interactive Services sections of the Site for the purposes of collaboration with other Users. The term “Interactive Services” refers to message boards, chat boards, blogs, virtual communities, and other interactive media made available by PMI available via the Site. The term “PMI Intellectual Property” refers to, all text, graphics, images, trademarks, logos, button icons, programs, software and other data, content, information and materials, tangible and intangible, and all intellectual property rights in and to the same which are owned by PMI or licensed to PMI by third parties. This includes but is not limited to PMI Content and PMI Trademarks. The term “PMI Trademark(s)” refers to all trademarks and service marks owned by PMI, as defined by 15 U.S.C. § 1127. The term “PMI” refers to PROJECT MANAGEMENT INSTITUTE, INC. The term “PMI Content” refers to copyrighted content owned by PMI or other copyrighted content owned by third-party partners of PMI. The term “Site” refers to the website www.pmi.org, which is owned and operated by Project Management Institute, Inc. The term “User Content” refers to all information, data, text, software, music, sound, photographs, graphics, video, messages, tags, or other materials posted on or to the Interactive Services sections of the Site by Users. The terms ”you”, “your” and/or ”user” refer to any individuals and/or entities accessing the Site for any reason. Ownership and Use:PMI Intellectual Property, which excludes the User Content you upload, post or otherwise transmit via Interactive Services (the “PMI Intellectual Property”), is owned by PMI or licensed to us by our third party partners. PMI Intellectual Property does include, however, any content developed and/or posted via the Interactive Services that has been created in whole or in part by PMI. You have no rights in or to such PMI Intellectual Property and you agree you will not copy, retransmit, reproduce, publish, create derivative works based upon or otherwise transmit any PMI Intellectual Property, except as specifically permitted under this Agreement. PMI Content:As a courtesy to our customers and members, we have posted to the Site certain PMI Content. Unless otherwise specifically set forth on the Site or we give you written permission, you may only access and download the PMI Content for your personal use, and you agree you will not alter, erase or otherwise obscure our copyright, proprietary or other notices on the PMI Content. You may not do or allow anyone else to do anything with the PMI Content which is not specifically permitted under this Agreement. 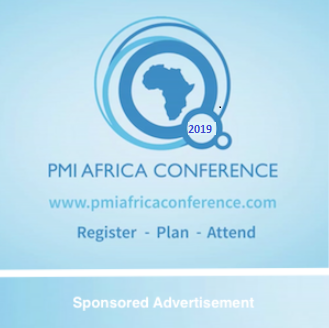 You acknowledge and agree that the PMI Content is made available for informational and educational purposes only without representation or warranty of any kind and is not a substitute for legal advice or your professional judgment. Your reliance upon PMI Content obtained by you on or through the Services is solely at your own risk. All rights not expressly granted in this Agreement are reserved to PMI. Permission to Use PMI Content:You may request permission to reproduce all or a portion of PMI Content owned by PMI via the Permissions section of the Site. We reserve the sole discretion to determine whether, and upon what terms, PMI Content will be licensed. Depending on the nature and scope of intended use licensing fees may apply. Trademarks:The PMI Trademarks (“Marks”) appearing on this site may not be used in any advertising or publicity, or otherwise to indicate PMI’s sponsorship of or affiliation with any product or service, without PMI’s prior express written permission. You are prohibited from using PMI Marks or any names, marks, or other materials in a manner that is likely to cause confusion or dilute or damage the reputation or image of PMI.You agree you will not alter any PMI Mark in any manner to make it appear that PMI is endorsing, sponsoring, authorizing or affiliated with you, your company, or any third party, except as expressly permitted in writing by PMI. Additionally, you agree to be bound by and to follow the terms of PMI’s Trademark Usage Guidelines , the entire contents of which are incorporated herein by reference and made a part of this Agreement. Links to Third Party Sites. As a courtesy to Users, we may provide links to other websites or resources owned and operated by third parties. Because we have no control over such sites and resources, you acknowledge and agree that we are not responsible for the availability of such external sites or resources, and do not endorse and are not responsible or liable for any content, advertising, products, services or other materials on or otherwise made available via such sites or resources. You further acknowledge and agree that we shall not be responsible or liable, directly or indirectly, for any damage or loss caused or alleged to be caused by or in connection with use of or reliance on any such content, goods or services made available on or through any such site or resource. Linking to PMI. You may obtain permission to link to the Site by agreeing to adhere to the terms of the Linking Agreement. License to PMI:You hereby grant to PMI a non-exclusive, worldwide, royalty-free, irrevocable perpetual license (with right to sublicense) to reproduce, distribute, transmit, create derivative works of, publicly display and publicly perform any User Content you submit via the Interactive Services by all means and in any media now known or hereafter developed, solely for the purposes for which such User Content was submitted. PMI will not use this User Content for any purpose other than the purpose(s) for which it was submitted unless you agree to such use. You retain ownership of User Content you submit and PMI does not obtain ownership in or to such User Content (or in the case of third-party owned User Content submitted by you with the owner’s permission, the third party retains ownership). Use of Content Posted by Other Users:Copyright in the User Content posted, with the exception of Collaborative Content, shall remain with the User or third party who has posted or consented to posting the User Content on the Site. You have no rights in or to such User Content posted by other Users and you agree you will not copy, reproduce, publish, create derivative works based upon or otherwise retransmit any User Content without the express written permission of the owner of such User Content.Collaborative Content posted by Users for the purposes of collaboration may be modified, reproduced, distributed, transmitted or otherwise used by other Users and is not subject to the limitations on User Content listed in the paragraph above. Such Collaborative Content shall be considered in the public domain and freely available to be used, distributed or modified by the other Users of the Site. For the purposes of distinguishing User Content from Collaborative Content, any Collaborative Content shall be clearly marked as such and/or shall be submitted via areas of the Site facilitating User collaboration. (d) engaging in other activities in violation of the DMCA.PMI has the right to terminate the membership of any User found in violation of the DMCA or other provision of the copyright laws. (e) a statement, under penalty of perjury, that the information in the notification is accurate and made by the copyright owner of the material allegedly infringed or authorized to act on the copyright owner’s behalf. Upon receiving the proper notification, PMI will remove, or disable access to, the allegedly infringed material from the Site. PMI’s copyright agent for notices of claims of copyright infringement is Douglas Murray, Esq. and can be reached at douglas.murray@pmi.org. (c) using deceptive subject lines. The User may not promote PMI’s products or services through uninvited commercial emails without the express written consent of PMI. PMI will not be liable for any direct, indirect, incidental, special, consequential, or punitive damages of any kind resulting from users’ failure to adhere to the CAN-SPAM Act or any other applicable laws. The User agrees to indemnify, defend, and hold harmless PMI, its affiliates, officers, directors, employees, consultants, and agents from any and all third party claims, liability, damages, and/or costs (including, but not limited to, attorneys’ fees) arising from the User’s activities in violation of the CAN-SPAM Act or any other applicable laws. The terms of this Agreement will inure to the benefit of PMI’s successors, assignees, and licensees. The User covenants to cooperate fully in the defense of any claim. However, PMI reserves the right, at its own expense, to assume the exclusive defense and control of any matter otherwise subject to indemnification by User and User shall not in any event settle any matter without the written consent of PMI. In consideration of your use of the Site, you represent and warrant that you are of legal age to form a binding contract and are not a person barred from receiving services under the laws of the United States or other applicable jurisdiction. You also agree to: (a) provide true, accurate, current and complete information about yourself as prompted by the relevant portions of the Site (the “Registration Data”) and (b) maintain and promptly update your Registration Data to keep it true, accurate, current and complete. If you provide any information that is untrue, inaccurate, not current or incomplete, or PMI has reasonable grounds to suspect that such information is untrue, inaccurate, not current or incomplete, PMI has the right to suspend or terminate your access to the Site and refuse any and all current or future use of the Site, or any portion thereof. You are solely responsible for maintaining the strict confidentiality of your User IDs and passwords and for any charges, damages, liabilities or losses incurred or suffered as a result of your failure to do so. We are not liable for any harm caused by or related to the theft of your User IDs/passwords, your disclosure of your User IDs/passwords, or your authorization to allow another person to access and use the Services using your User IDs/passwords. You agree to immediately notify us if you become aware of any unauthorized use of your User IDs/passwords or other need to deactivate a User ID/password due to security concerns. This Agreement shall be governed in accordance with the laws of the Commonwealth of Pennsylvania. Additionally, you also agree that the UN Convention on Contracts for the International Sales of Goods and the Uniform Computer Information Transactions Act (UCITA) will not apply to this Agreement or any interpretation or disputes relating thereto. The Project Management Institute, Inc. encourages other associations, business organizations, and individuals interested in project management to provide information links from their Internet websites to PMI’s website. Framing:You will not place PMI web pages in a “frame” within your own web site, without specific permission from PMI. Proper Form of Link:All approved information links must include one of the following: the company names “Project Management Institute, Inc.,” the letters “PMI,” the PMI URL, or the PMI logo. No Alteration or Misrepresentation:You will not use or alter any PMI logo or trademark in any manner to make it appear that PMI is endorsing, sponsoring or affiliated with you or your company, except as expressly permitted by PMI. Proper Use of PMI Trademarks: You agree that all uses of PMI marks and copyrighted materials will conform in all respects to PMI’s Intellectual Property Proper Use Guidelines. No Objectionable Content:You agree that no part of your web site will contain, or link to, content that may be interpreted as libelous, obscene or criminal, or which may infringe or violate any third party rights. Indemnification:You agree to indemnify, defend and hold PMI harmless from and against any and all third party claims or causes of action brought against PMI as a result of the rights granted hereunder, or in connection with any claim arising out of any breach by you of the foregoing representations and warranties, including, without limitation, attorneys’ fees and costs. Right to Terminate:PMI may at any time, in its sole discretion, without notice, with or without cause, immediately terminate its consent to use the PMI logo and/or names and to link to the PMI Web Site. The consent granted to you hereunder shall terminate automatically if, at any time, you are in violation of this Linking Agreement. Upon PMI’s termination of its consent, you will immediately, following PMI’s request via email, remove all links and cease using the logo and/or names. Non-Transferable:This agreement is not transferable. Governing Law:This agreement shall be governed by and construed in accordance with the laws of the Commonwealth of Pennsylvania. Amendment in Writing:This agreement cannot be altered or modified except by email notice to you and/or by PMI changing its web site policy and giving notice of that change to the linking party. PMI reserves the right to amend its policy at any time. Any continuation of the link after notice of the change will be deemed acceptance of the modification. A grant to link only responds to a request to link and does not constitute an endorsement of the requestor’s company name, domain name or email address. If using the PMI Logo:The PMI logo is a mark of Project Management Institute, Inc., registered in the United States and/or other nations. If using a PMI Mark: “PMI” and “Project Management Institute, Inc.” are registered marks of Project Management Institute, Inc.
Increase your impact when you quote, cite or re-use our content. PMI is a leading publisher on the subjects of project, program and portfolio management and the organizational strategies that strengthen these essential practices. Our content is developed by professional staff and experienced practitioners who come from diverse industries and backgrounds. Using our content can give depth, richness and credibility to your materials, and add knowledge, data and fresh ideas to engage your audiences. We welcome your use of our copyrighted content when you inform us of your intent in advance and obtain our written permission. And we’ll make the process as fast and easy as possible. For all but our standards content, apply using the RightsLink service. For standards content including A Guide to the Project Management Body of Knowledge (PMBOK® Guide), use our permissions request form. In some cases, a fee will apply. PMI chapters and Registered Education Providers (R.E.P.s) automatically have permission for some uses as outlined in the Chapter Manual and R.E.P. Application and Agreement. For all other uses, you must apply for permission. PMI authors wanting to reuse their work must apply for permission; we will not withhold it unreasonably or require a fee. Individuals and organizations often seek to reference or quote brief passages of our copyrighted content. We regularly grant simple permission agreements for these references. Individuals and organizations including PMI chapters sometimes seek to reference and incorporate substantial portions of our content within their own work. We may grant derivative work licenses for these requests. Academic institutions, governmental agencies, commercial training organizations and other companies often seek access to our content for reference use by numerous employees or students. We may approve site licenses for these requests. Chapters and organizations sometimes request approval to translate our content into a desired language. For these we may approve a licensed translation. For glossy reprints of PM Network® and Project Management Journal® articles, email us at pmipub@pmi.org. To link to PMI.org using the PMI logo, see our Linking Agreement and submit the brief information requested. No other use of our logo is allowed.